This piece reports on recent research around the relationship between trade unions and internationalisation in the context of globalisation. It argues for a more open, less pessimistic view than the dominant one. This view builds on the experiences of the 1970s and is cognisant of the depth of the current crisis. Unions and the workers they represent have always been part of a transnational system of labour relations. Capital has always been mobile and the capital/wage-labour relation has never been hermetically contained within national boundaries. However, until quite recently, the dominant system of industrial relations had been confined, almost exclusively, within a national frame. In the 1970s, a ‘new’ international division of labour emerged as the ex-colonial countries began to industrialise and the multinational corporations became central players in the neo-colonial global system. This period saw a major flourishing of transnational labour activity and the hope, soon dashed, that union internationalism could act as a ‘countervailing power’ to that of the multinationals. Later in the 1990s the era of globalisation began, characterised by the hegemony of neoliberal economics, the victory of the West in the Cold War and the rise of international institutions such as the World Trade Organisation. The international union movement was unified during this phase and clearly recognised the major challenges posed by globalisation to a ‘business as usual’ approach. 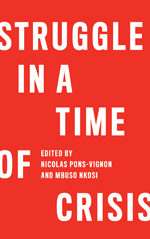 Today, with the unravelling of the neoliberal consensus and its whole global development model in 2008, a new period of crisis and uncertainty opens up (Munck, 2010a). Labour internationalism will not emerge spontaneously with that of capital as though capital’s global reach automatically generates labour internationalism. Internationalism should rather be seen as a political project that needs to be constructed. Nor is it a timeless political project reaching back seamlessly to the formation of the First International in 1864. Nor does labour internationalism trump all other forms of union activity at the local, national and regional levels. From a present-day perspective, the 1970s and 1980s could probably be viewed as a transitional period. Capitalism at a global level began to hit structural contradictions which would finally unravel in the crisis of 2008–2009. However, as the class struggle intensified, capitalism prepared for the great leap forward under neo-liberal globalisation. Workers and their unions in the North began an incipient process of transnational organisation. While not resulting in the transnational collective bargaining many hoped for, it did begin to break down its nation-statist attitudes. The global South was beginning to play a more important role with many new labour initiatives being pioneered in this world zone. While we might question the dualism of counter-posing ‘objective’ condition and subjective responses by labour to them, this phase of global history set the terrain for a hugely expanded global labour force and for greater interactions between its national and sectoral fractions. It also laid the basis for capital to take a great leap forward to overcome its inherent contradictions and to strengthen its position in relation to an increasingly uncooperative Western working class and a South in open revolt. There are major sectoral differentiations in terms of the modalities and effectiveness of transnational union activity. The global competition at the heart of neo-liberal globalisation severely weakened the organising capacity of unions. So, unions have responded to outsourcing, for example, through the establishment of international union links. In some sectors such as transportation there was a long history of international solidarity to build on. Thus in the shipping sector the International Transport Workers’ Federation (ITF) now acts effectively on behalf of its members across the globe setting wages and effectively campaigning against the ‘flags of convenience’. In the air transport sector representation at a transnational level is not so strong; however, unions have contested the restructuring/flexibility agenda of the employers. In the motor industry, a key locus in the 1980s attempts to create cross-plant union networks, there was a flourishing of company level World Employee Committees which allowed workers to share information between themselves and with management across borders. However uneven and differentiated the process of internationalisation has been, since 2000, unionists have increasingly challenged unfettered capitalist control over the labour market. We can see that in particular branches of industry or areas of the world (such as Latin America) as well as a broader international labour revival since 2000 with a plethora of initiatives by international unions at both the official and grassroots levels. In the early 2000s international labour activity found considerable resonance and reached levels only dreamt of in the 1970s. Transnational communication and networking had become easier and many of the political obstacles had been overcome. Now even the seemingly most localised struggle needs to adopt a global optic. Indeed, we could argue that there is a new local-global terrain which does not necessarily ‘pass through’ its national level. Local struggles may turn to transnational repertoires of actions directly. We can envisage a more complex unionism as a multi-level response to globalisation which has impacted on workers at local, national and regional levels as well as at the transnational level. It is highly debatable whether the international union movement has entirely overcome the structural and political impediments to full international labour solidarity. With the International Trade Secretariats quite removed from the workplace, their solidarity campaigns may appear remote to shop floor activists. With most national unions still committed to an outdated concept of ‘partnership’ international solidarity is reduced to a ritual. A new perspective, or rather a revival of the 1970s one, would recognise the social role of labour and the unions which have been confined to their economic and political roles for too long. The challenge is to take this perspective, which played a role in combating authoritarian regimes in the South by constructing a community unionism, and ‘scale it up’ to the global scale (Munck, 2010b). In retrospect, globalisation probably opened as many doors for labour as it closed. Neo-liberalism as a dominant capital accumulation strategy represented a class offensive against workers and their representative organisations. Labour recovered a considerable amount of its organisational capacity during this phase. By the end of this period the inherent contradictions of capitalism had re-emerged with a vengeance with the great bubble of financial speculation that drove its final phase. The capitalist crisis began to unravel in 2007 but it reached a critical point in September 2008 as a number of major ‘name’ banks failed. There was simply no trust left in the basic financial intermediation mechanism which underpins the capitalist system. As capitalism’s ‘credit crunch’ turned into a global recession in 2008 the union movement was at first taken aback, as were many sectors in society. The spectre of the 1930s recession was uppermost in many people’s minds. By early 2009 there were at least a clearer analysis and a credible alternative being presented by the global unions, even if this was not translated into practice due to the lack of social power to impose it. Their statement to the London G20 Summit in April 2009 accepted that there was no return to ‘business as usual’ and went on to argue that ‘The crisis must mark the end of an ideology of unfettered financial markets, where self-regulation has been exposed as a fraud and greed has overridden rational judgment to the detriment of the real economy’ (Global Unions London Declaration, 2009). Nothing less than a redrawing of the governance of the global economy to foreground social (and environmental) issues would suffice. However, the means proposed to implement this alternative programme – a revival of the post-war tripartite structures involving government, capital and labour – seemed somewhat of an anachronism given its inherent limitations even in the once affluent North where this corporatist model had some purchase. If labour internationalism first became a significant factor in the pre-national phase, what are its prospects today in what we might call a ‘post-national’ phase of global history? Looking towards the future of unions we might posit a ‘Back to the future’ type of strategy with internationalism as its core philosophy. The era of globalisation has created a novel and complex terrain for labour internationalism where local, regional and global levels interact and where community, consumption and production levels are all present. We can no longer afford to ignore the complex interplay of the spatial dimension of labour activity, not least when dealing with the international, once seen as a separate domain from the national or local, higher or lower in terms of hierarchy according to one’s political stance. The future of labour internationalism does not hinge around whether as labour analysts we are optimists or pessimists. What is important is to recognise the major shifts that have occurred over the past twenty years as labour has rebuilt at least some of its structures that had been decimated by neo-liberalism. If labour is now catching up with capital’s long campaign of internationalisation (known as globalisation) then it may now be the turn of labour to become globalised (Munck, 2010c).